Carolina Sporting Arms provides firearm owners throughout the Carolinas with the finest gunsmithing services. Our highly skilled craftsmen are renowned for their quality work, reliability, and 100-percent-satisfaction guarantee. 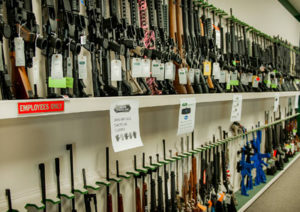 At Carolina Sporting Arms, our comprehensive gunsmithing services include all types of repairs, modifications, enhancements, and total restoration. There are no jobs too large or too small for our experts, and we work on most types of guns. In addition to our general maintenance services, we provide many types of detail work, as well. No matter your gunsmithing or custom gun need, Carolina Sporting Arms can provide you with exceptional service – the first time, guaranteed. Entrust all your firearm-servicing needs to us! Please send questions directly to our gunsmithing experts or call us at (704) 554-9511.